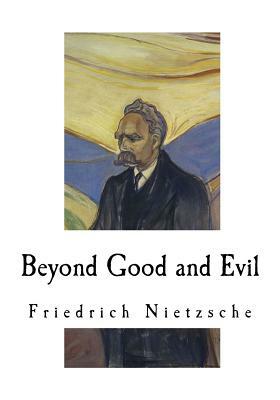 Beyond Good and Evil: Prelude to a Philosophy of the Future, is a book by philosopher Friedrich Nietzsche that expands the ideas of his previous work, Thus Spoke Zarathustra, with a more critical and polemical approach. It was first published in 1886. CONTENTS Preface 1. PREJUDICES OF PHILOSOPHERS 2. THE FREE SPIRIT 3. THE RELIGIOUS MOOD 4. APOPHTHEGMS AND INTERLUDES 5. THE NATURAL HISTORY OF MORALS 6. WE SCHOLARS 7. OUR VIRTUES 8. PEOPLES AND COUNTRIES 9. WHAT IS NOBLE? SUPPOSING that Truth is a woman-what then? Is there not ground for suspecting that all philosophers, in so far as they have been dogmatists, have failed to understand women-that the terrible seriousness and clumsy importunity with which they have usually paid their addresses to Truth, have been unskilled and unseemly methods for winning a woman? Certainly she has never allowed herself to be won; and at present every kind of dogma stands with sad and discouraged mien-IF, indeed, it stands at all For there are scoffers who maintain that it has fallen, that all dogma lies on the ground-nay more, that it is at its last gasp. But to speak seriously, there are good grounds for hoping that all dogmatizing in philosophy, whatever solemn, whatever conclusive and decided airs it has assumed, may have been only a noble puerilism and tyronism; and probably the time is at hand when it will be once and again understood WHAT has actually sufficed for the basis of such imposing and absolute philosophical edifices as the dogmatists have hitherto reared: perhaps some popular superstition of immemorial time (such as the soul-superstition, which, in the form of subject- and ego-superstition, has not yet ceased doing mischief): perhaps some play upon words, a deception on the part of grammar, or an audacious generalization of very restricted, very personal, very human-all-too-human facts.